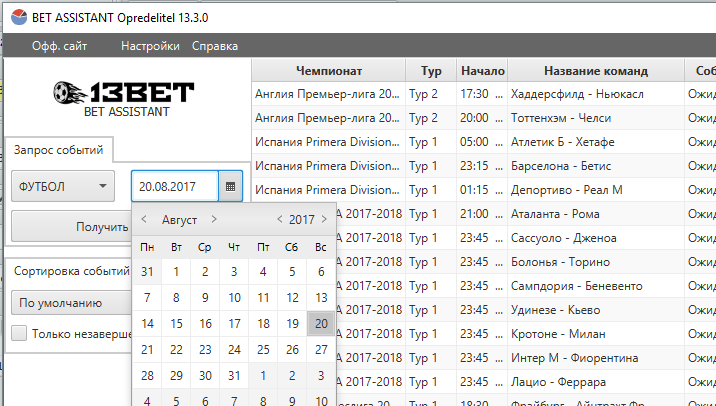 This program is capable of predicting sports such as: Football, Basketball, Volleyball, Hockey, Handball, Tennis using statistical data and a sophisticated match analysis algorithm. Enter your unique key for authorization in the program. Click on "Sign In"
Choose a match from the downloaded list, and double click on it, a form with a forecast for this event will open. 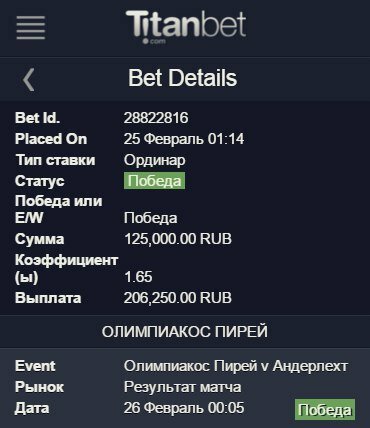 It remains only to put a bet in your bookmaker office. Do you want to earn stably thanks to sports betting? Profit for a month with an initial bank of 10 thousand rubles. 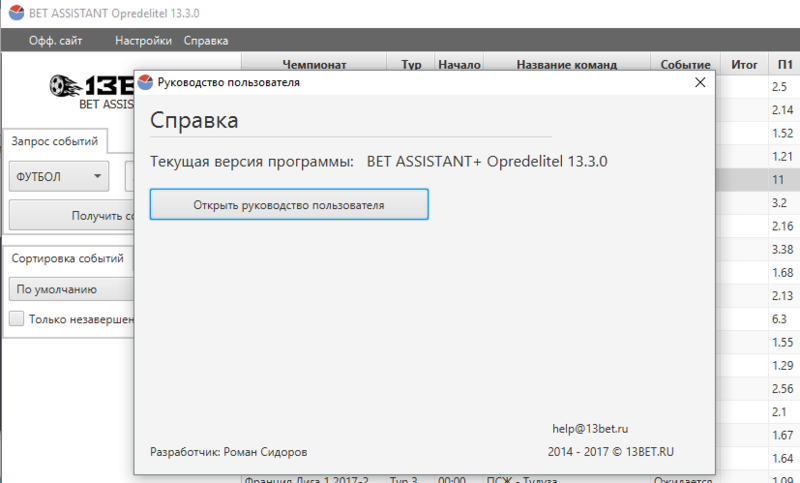 After payment, a link to download the program and a unique key for activating the program "OPREDELITEL v.13 BET ASSISTANT +" will be sent to your e-mail. If you are not satisfied with the results of the program, we will return 100% of your money without question. Without obstacles. No problem. Without unnecessary questions. In the end, if we did not give you the results you expected, we do not deserve your money. We appreciate your time and money. Therefore, your purchase is 100% insured. 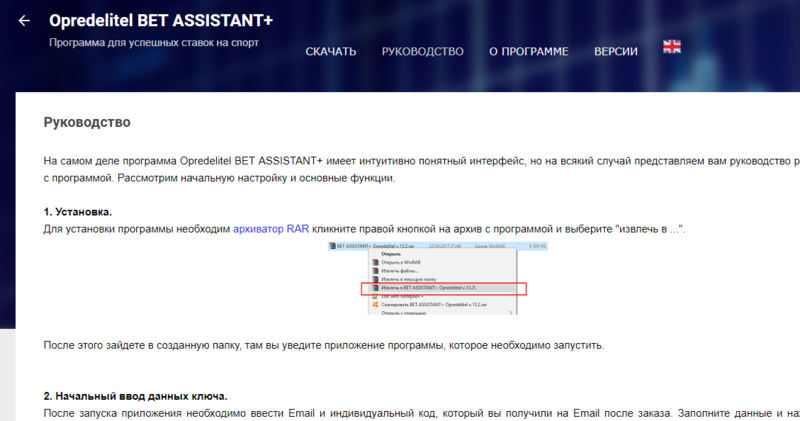 If you do not receive a profit from sports betting for a month, guided by our program, we will refund the cost of the program without questions. After purchase, you will receive a detailed guide to install the program, initial setup, download matches and filter applications. Have questions ? Write to us! This section shows the results of an independent testing program.